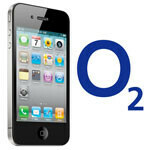 UK cellular provider, O2, has started a new program becoming the first in the UK to offer lease options for smartphones. The program enables customers to rent an iPhone for one year. The 16GB iPhone 4S comes with 750 minutes, unlimited texts, 500MB of data, and insurance. It can be had for £55, approximately $85 US, a month with no upfront costs. The 32GB phone is available as well, although it will set you back a little bit more each month. While the year end cost is pretty close to purchasing a device and paying for a regular plan on O2, business, and perhaps some individuals, may find it more appealing to be able to upgrade their handsets yearly and have the piece of mind that comes with the insurance that is included in this offering. First. Trust me, you'd want to own such a good phone, not lease it. Miz, your statement is a bit off base. People lease tons of high end luxury vehicles instead of buying them. Are you saying that no one should lease a Mercedes or a BMW because they are too good of cars not to just buy. Many people have many different lifestyles and this will fill the need for some people who can't afford to just buy an iPhone upfront. Also, I use the luxury car metaphor because thats all an iPhone is in the phone world. It is an overpriced device that most people buy for fashion rather then functionality. At the end of the day a Toyota will perform better in the long run and cost you less to maintain then a luxury car, just like an iPhone will end up costing you more then most comparible and in some cases better devices in the long run. You're paying for brand more then anything else and therefore I don't think that the leasing option is the worst of ideas. That's a good idea. although personally like the fact that i keep my phone just in case i need a back-up or what not. still a good idea though.